NEWS ANALYSIS: Norwegian Labour Party leader Jonas Gahr Støre had to face an assembled press corps on Tuesday to deliver the traditional mid-year status report expected of all political parties. “It’s been a frustrating half-year,” Store admitted, in what arguably can be viewed as the ultimate understatement. Støre’s dream of becoming Norway’s prime minister currently seems more remote than ever. Since trying hard to win back government power but losing the national election once again last year, his party has lurched from crisis to crisis and been all but imploding in recent weeks. Labour, which dominated Norwegian politics for decades after World War II, is now a mere shadow of its former self, stuck at voter support levels of just 23.4 percent in June public opinion polls. Støre had to also admit that all the “difficulties” have overshadowed attempts at policy-making so far this year. “It’s been demanding, we’ve had a lot of unrest,” Støre told reporters. He’s been continually distracted by all the problems and internal dissent within Labour, when all he really wants to do is lead the opposition in Parliament and ultimately unseat Prime Minister Erna Solberg. Labour’s latest downturn began with controversy around Støre himself just before the September 2017 election and continued with even more controversy around one of his two deputy leaders, Trond Giske, after the election. 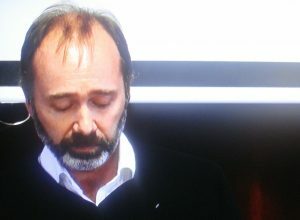 Giske not only made an unpopular power play to take charge of finance policy, at the expense of a female colleague, but he then became a target of numerous charges of sexual harassment over the years. He ultimately was forced to resign his top party posts, but dissent has continued over his efforts to make a comeback this past spring that many feel is all too soon. 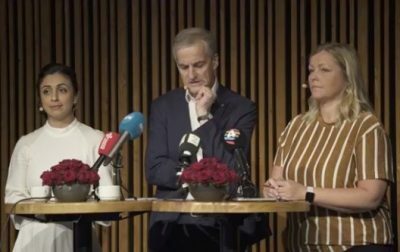 The party hit a low point when another dispute arose over whether Giske should even be allowed to attend Labour’s annual summer party last week. He ended up staying away, only after more damage had been done. Disputes have also broken out between the frustrated party leader Støre and his other, still-surviving deputy leader, Hadia Tajik. The two haven’t seemed to agree on how Giske should be held accountable for his bad behaviour as both a party official and former government minister. Stories have emerged about angry exchanges at internal meetings, along with headlines that Labour’s crisis has been created by its own people. Then came a report in newspaper Aftenposten earlier this month that Labour also has financial problems, logging an operating loss of NOK 9.8 million in 2017 that forced it to sell off some investments and raid its savings accounts. Meanwhile, the conservative government coalition is rolling through its second term in office, now in an expanded format with the addition of the Liberal Party. Aftenposten commentator Frank Rossavik wrote last week that Prime Minister Erna Solberg’s Conservative Party is in the process of becoming the party that “steers” Norwegian politics and Norway’s “new social democracy,” instead of Labour. The government coalition’s Progress Party is also trying to raid Labour’s traditional constituency by appealing to blue-collar workers. Støre’s background from a wealthy family has also been cited as one of the reasons Labour is losing support from its traditional voters who are members of trade unions. Not all of them are convinced Støre understands their concerns. On Tuesday Støre was not giving up, and claimed that he now “senses” a “widespread willingness and wish” within his battered party that it “move on and put the unrest behind us. The expectation now is that we move forward with politics.” He claimed Labour had managed to push forward some “more fair policies” that look after workers’ interests, like making it more difficult to “hire in” temporary employees. The party also contributed to increasing paternity leave to 14 weeks. The growing voter popularity of two of the small parties on the left side of Norwegian politics, the Socialist Left (SV) and the Reds, has also led to a left-center majority in some public opinion polls. That’s not entirely good for Labour, since it indicates SV and the Reds are luring away Labour voters, but it can help at the next election. At this point however, commentators are increasingly pointing out that only a government crisis can give Labour any hopes of re-gaining government power. Labour is currently not expected to do well in next year’s local elections, because of the unpopularity of the property taxes it has imposed all over the country and ongoing restrictions and expenses on use of personal cars. And it may only do well in the next parliamentary election in 2021 if it can campaign as the incumbent. Norwegian Broadcasting (NRK) reported how Støre himself pointed on Tuesday to how Solberg’s government will have defend itself in August over its alleged failure to better secure Norway against a terrorist attack. “I don’t want to predict how that will end,” Støre said, “other than to say that the Labour Party is prepared to face the consequences if the government no longer has the confidence of Parliament.” He’s clearly ready, willing and able to take over Solberg’s job as prime minister if given the chance. It’s not sustainable, though, to base a future on the prospect of others making mistakes. Labour politicians have largely chosen, over the past nine months at least, to let personal conflicts, suspicion and power plays get in the way of politics. Støre must hope his “sense” is valid, that Labour really wants to move on and get back to political work, if his party is to revive without Solberg’s government falling. Labour’s leaders and members clearly all need a good, long summer holiday, with the hopes of new opportunities in the fall, whatever form they may take.